The Blue Jays beat the Oakland A's 7-0. Last night's game marked the 12th time the A's have been shut out this season. The Red Sox beat the Royals 4-3. Dustin Pedroia went 3-for-4 with 3 RBIs. 1 1/2 game lead over the Cleveland Indians in the AL Central. The Chicago White Sox are sitting 4 games back...this, my friends, is gonna be a close race. The way it looks right now, the top two teams in the AL East are going to be in the playoffs. Either the Yankees or the Red Sox are going to win the AL East - whoever lands in second place will be the Wildcard. The HBWHOF will be at The Copa for Sunday's finale - should be a good one! Today is INDUCTION DAY at the Hot Baseball Wife Hall of Fame. These women are all beautiful, talented, funny and spend much of their free time helping various charities. 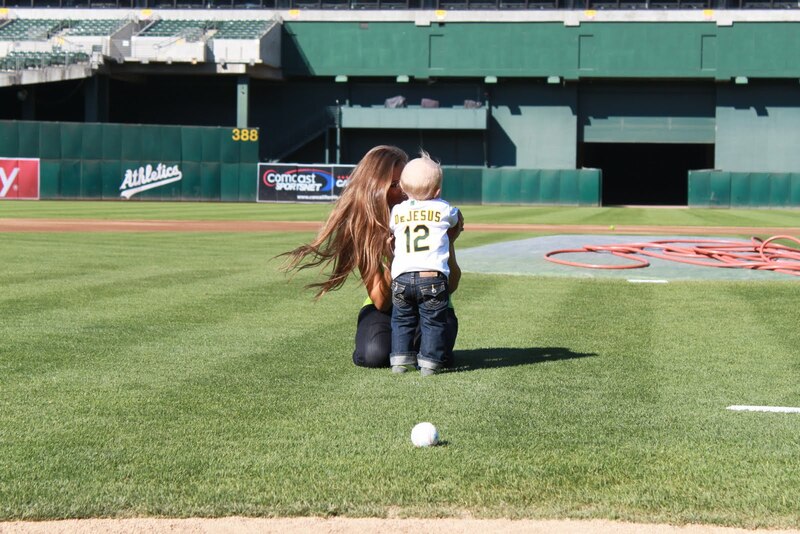 Following the plight of their husbands on the Oakland A's and following their updates on TWITTER, I've grown to appreciate the day-to-day life of a baseball wife. It's NOT all sunshine, lolipops & rainbows! These ladies form a close bond. They are there for each other when their husbands are absent for long stretches on road trips. 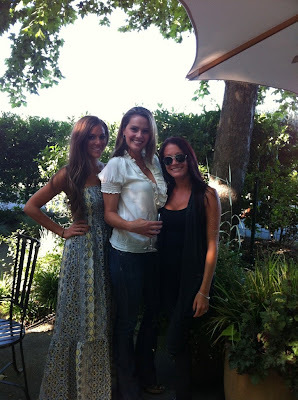 They take care of the home front while their hubbies are attending to the business of baseball. They pay the bills, take care of the kids and pets and do all the mundane household duties. Imagine sitting on pins & needles everytime the baseball trade deadline nears! Hot Baseball Wife Hall of Fame. 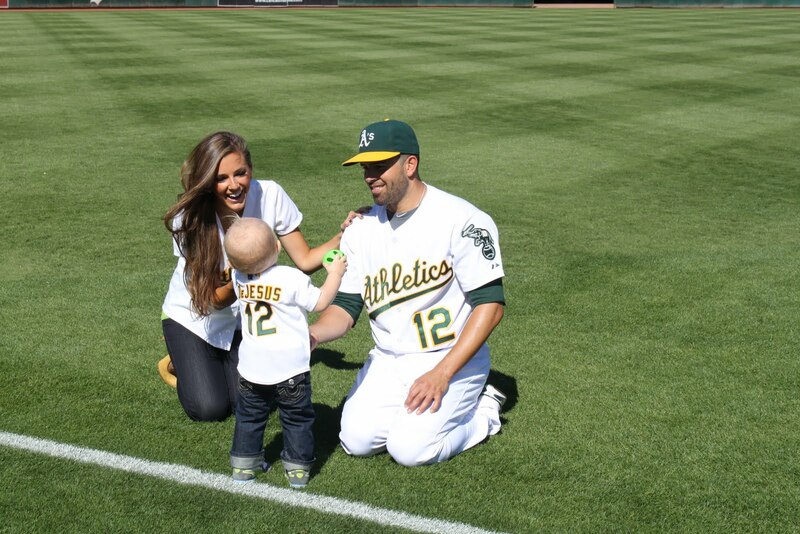 Today, Kimberly DeJesus becomes a Hall of Famer. Before marrying an outfielder, Kimberly Iliff graduated from Arizona State University with a degree in Art. She went on to teach high school art. Geez, why didn't my high school have any teachers that looked like THAT?? 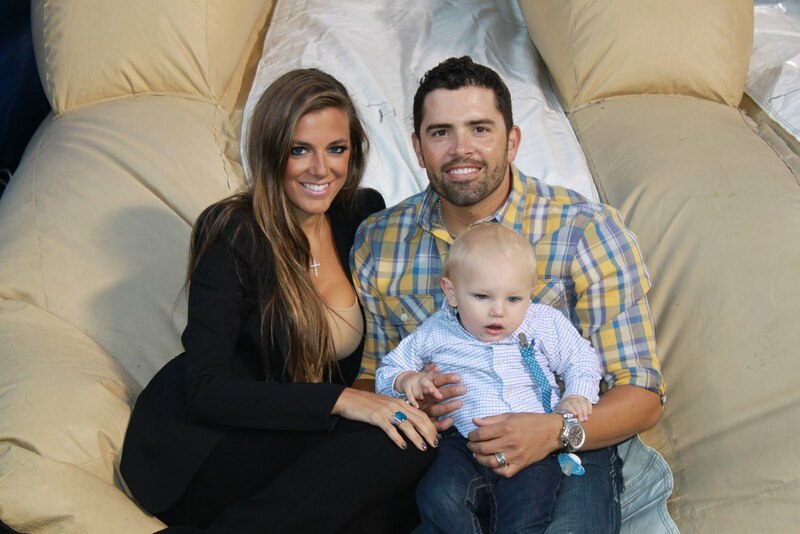 She was at Spring Training working as a spokesmodel during a charity event when she met David DeJesus. They eventually married and had a son - David Kingston DeJesus Jr - who goes by the nickname Spidey. She's involved with the A's Wives who hold their annual Canned Food Drive for the Alameda County Food Bank, MUG Root Beer Float Day for the Juvenile Diabetes Research Foundation, Breast Cancer Awareness Day for the American Cancer Society, Cancer Prevention Institute of California, and Susan G. Komen for the Cure, a Mystery Ball event with autographed baseballs sold to benefit ALS(Amyotrophic lateral sclerosis - Lou Gehrig's disease) and she finds the time to visit children at the Children’s Hospital & Research Center in Oakland!! !